Our Golden Gate always tastes good, but best when enjoyed slowly in a wine glass. Golden Gate IPA is a good friend of with charcoaled red meat. You’ll taste the caramel malts popping up nicely. Mistico is a Tropical Pale Ale that's heavily hopped with the best Azacca, Idaho 7 and El Dorado hops. Its got a serious citrus aroma and a soft smooth texture that gives way to a sneaky clean finish. It marries our passion for Pale Ales with juicy citrusy hops. Our Brexit friend, across the canal, but always close. This is our darkest beer with an amazing Chocolate and coffee aroma. Chocolate, Coffee and Stour is the ultimate combination! It’s brewed with the same Centennial hops as his IPA sister, but with darker (roasted) malts, of course again from our friend of the Swaen. You enjoy Tower Stout from a typical English Pint with food that combines with chocolate too. You might take pumpkin soup or a grilled chicken with carrots and when in season mussels or other seafood. This New England style IPA is as Fresh, Fruity and Hazy as it gets! Hopped with the best Azacca, El Dorado and (our favorite) Centennial Hops. We've gone all in experimenting dry-hopping this hop bomb, packing our tanks with more dry-hops than they can even hold. Pine, Citrus and Floral notes are setting this NEIPA apart. The rich Uncle of our Tower Stout; this is the Barrel Aged version. The result is a refined taste with the same strong notes of coffee and chocolate from a heavy dose of dark malts. Dry-hopped with our favorite Centennial hops and aged in Jack Daniels barrels makes this one of our favorite and most iconic brews. On our way to many more! OK, i know enough, were can i buy this amazing stuff? 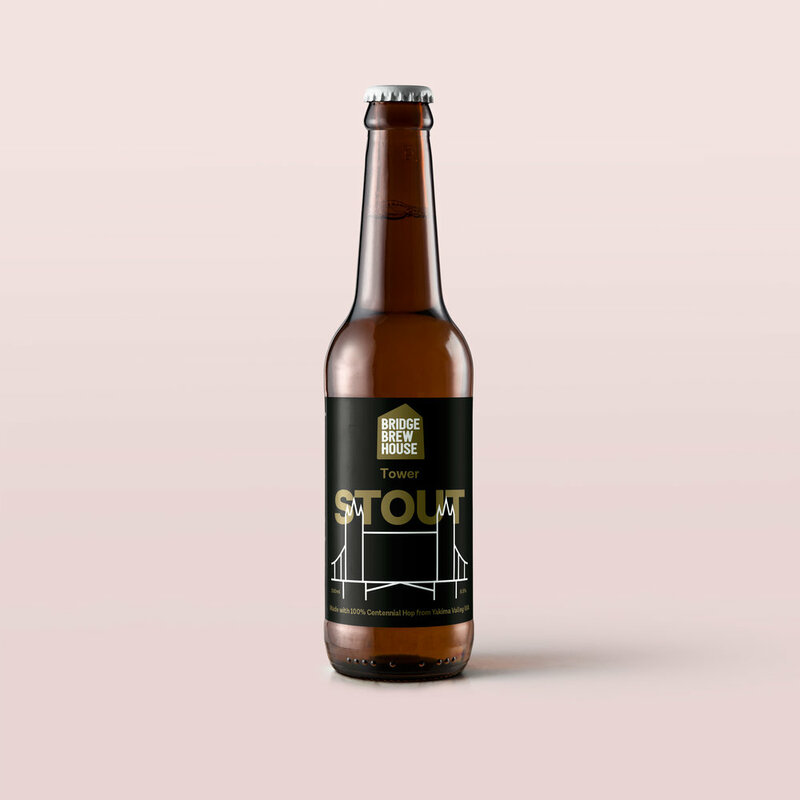 Brewed and Bottled with love by Reinier and Joost in the rainy Dutch province of Utrecht. Knowing all about your beer just tastes better.